It's been more than 300 days since the last corps pulled out of the parking lots at Lucas Oil Stadium, which means it's time for DCI's World and Open Class corps to get back on the road to kick off another summer of drum corps excitement! 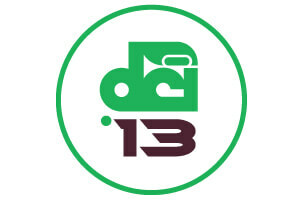 The very first event of the season gets underway on Wednesday, June 19 in Mesa, Ariz., with eight other shows scheduled for the opening weekend of the 2013 Drum Corps International Tour. We've assembled a handy list of facts and info about this year's tour to get you ready as the first drum corps march into competition this week. We're looking forward to seeing you at the stadium this summer! 1. This summer's Drum Corps International Tour will feature 105 events across the country. 2. Kicking off on Wednesday, June 19 in Mesa, Ariz., the DCI Tour will span 53 days, coming to a close in Indianapolis on Saturday, Aug. 10. 3. The DCI Tour will make stops in 98 different cities in 39 states. 4. California will host the most events in 2013 (11), followed by Indiana, which will host nine days of competition including the DCI World Championships. 5. A steady stream of events is scheduled for the duration of the 2013 Tour. Only two days on the 53-day calendar don't have at least one competition scheduled. The two days without events include the second day of the season (Tuesday, June 20) and Independence Day (Thursday, July 4). 6. 50 corps are expected to compete throughout the summer in DCI's World, Open, All-Age and International Classes. summer as a World Class unit in 2013. 7. Two new Open Class corps, the Columbians (Pasco, Wash.) and Coastal Surge (Myrtle Beach, S.C.), will join the DCI Tour this summer. 8. Oregon Crusaders, the 2012 Open Class World Champions, will mark their first year as a World Class unit in 2013. 9. Fans across the country can get their first look at Midwestern and Eastern drum corps during the 2013 "DCI Tour Premiere", coming to more than 450 cinemas nationwide on Monday, June 24. 10. The "Tour Premiere" will be taped at the June 22 DCI Tour event in Akron, Ohio. Building the suspense, scores will not be released in Akron until the cinema event takes place two days later on Monday, June 24. 11. Fans across the country can get their first look at Pacific corps during a live Fan Network webcast of the DCI West event in Stanford, Calif., Saturday, June 22. 12. A 2013 subscription to the Fan Network lets fans follow the tour all summer long with 10 live webcasts and on-demand playback of performances from more than 20 scheduled events. 13. Competition will heat up on June 21, just three days into the summer tour, when the 2012 World Champion Blue Devils meet 2012's second place corps, Carolina Crown, at the MidCal Champions Showcase, held in Clovis, Calif.
events on the DCI Tour schedule, Saturday, July 27. 14. Carolina Crown's early-season trip to California will be the corps' first since the DCI World Championships came to the West Coast in 2007. 15. 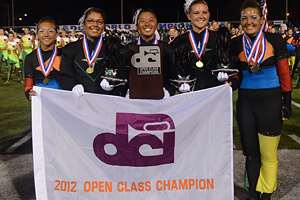 The Tour of Champions series of events returns in 2013, featuring the Blue Devils, Carolina Crown, Phantom Regiment, Cadets, Santa Clara Vanguard, Bluecoats, and Cavaliers in seven different locations. 16. 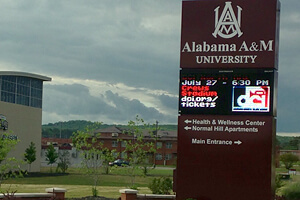 New to the 2013 DCI Tour, DCI North Alabama will bring 15 corps to the campus of Alabama A&M University in Huntsville. The event on Saturday, July 27 will be one of the first-ever DCI events to take place at an HBCU school. 17. A number of drum corps will be celebrating anniversaries in 2013, among them Madison Scouts at 75 years, the Cavaliers at 65, Colts and Mandarins at 50, Les Stentors at 25 and Pacific Crest at 20. 18. Also celebrating a Golden Anniversary in 2013 is the popular Drums Along the Rockies DCI Tour event in Denver on Saturday, July 6. 19. International Invasion: In addition to DCI's Canadian Open Class corps Blue Saints and Les Stentors, the 2013 Tour will receive a visit from Taipei Yuehfu, a corps from Taipei City, Taiwan. The group has traveled to the World Championships in four other years, most recently in 2005.
at the Georgia Dome, Sunday, July 28. 20. Just two events before the World Championships in August will feature a lineup of all 22 World Class corps in a single day of competition. Fans can look forward to the head-to-head excitement at the DCI Southwestern Championship in San Antonio on Saturday, July 20, and the DCI Atlanta Southeastern Championship on Sunday, July 28. 21. Rather than its usual Saturday date on the calendar, the DCI Atlanta Southeastern Championship will come to the Georgia Dome on Sunday, July 28 this year. 22. Students can Kick Start their fall marching band season, with popular educational leadership workshops hosted at select DCI Premier Events. Led by motivational speaker Fran Kick, Kick Start events take place just prior to the corresponding evening's drum corps competition. 23. Open Class corps will once again kick off World Championships Week in Michigan City, Ind., starting Monday, Aug. 5. 24. The Open Class World Champion will be named in Michigan City after the Open Class World Championship Finals on Tuesday, Aug. 6. 25. Getting underway on Thursday, Aug. 8, 2013 will mark the fifth anniversary of World Championship events at Lucas Oil Stadium in Indianapolis. These five years mark the longest consecutive series of DCI World Championships held in one city. Championship events at Lucas Oil Stadium. 26. This year's Championship at Lucas Oil Stadium will surpass the Orlando Citrus Bowl as the second most-visited stadium for the World Championships in DCI's more than 40-year history. That leaves Lucas Oil just two years behind Camp Randall Stadium in Madison, Wis., which hosted seven. 27. For the first time in years, the Individual & Ensemble Championship presented by System Blue, will allow members of World and Open class corps to compete together. 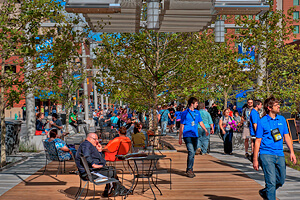 Held in a new outdoor venue on Georgia Street in Downtown Indianapolis, the event will be free and open to the public on Wednesday, Aug. 7. 28. Later in the evening on Wednesday, Aug. 7, the newest class of DCI Hall of Fame members will be honored during the Hall of Fame Kickoff Party at Historic Union Station in Downtown Indy. 29. The World Championship Prelims on Thursday, Aug. 8 in Indianapolis, will once again feature an "all-skate" of corps with World and Open Class ensembles competing against each other to advance to the Semifinals. 30. If you can't make it to the stadium on Thursday, Aug. 8, Drum Corps International will celebrate the 10th anniversary of its "Big, Loud & Live" cinecast, which will bring the World Championship Prelims live into more than 600 cinemas nationwide. 31. The World Championship Semifinals on Friday, Aug. 9, will feature the 25 top-scoring corps from the Prelims, while the World Championship Finals on Saturday, Aug. 9, will feature the top-12 scoring corps. of several new events during World Championships Week. 32. The World Championship Semifinals on Friday, Aug. 9 will be webcast in its entirety on the DCI Fan Network. 33. A two-day edition (Aug. 9-10) of DCI's acclaimed Marching Music Academy for Teachers & Instructors, will give educators the opportunity to learn from experts in the field of marching music, in addition to interactive educational events in Lucas Oil Stadium during the 2013 World Championships in Indianapolis. 34. 2013 marks the first year of DrumLine Battle and SoundSport, DCl's exciting new competitive performance opportunities. DrumLine Battle and SoundSport events will be held at various locations throughout the summer, with a major demonstration planned in Indianapolis on Saturday, Aug. 10 prior to the start of the World Championship Finals. 35. The DrumLine Battle and SoundSport demonstration on Saturday, Aug. 10, will take place on Georgia Street in Downtown Indianapolis. In addition to DCI drum corps, the event will feature guest performances by Drum Corps Associates mini-corps, Star United and Minne Brass, along with E-Sarn, a drum line coming all the way from Thailand! 36. It's not too late to experience the action! 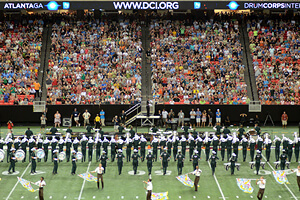 Great tickets for every event on the 2013 Drum Corps International Tour are still available. Purchase tickets online through the DCI Box Office at DCI.org/tickets, and view the complete 2013 DCI Tour schedule at DCI.org/schedule.